Known as UNESCO's World Heritage site. 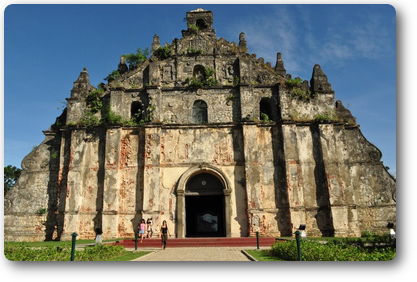 where to travel around Pagudpud & Ilocos guided with maps for your convenience. Information to keep your travel in the area safe and enjoyable such as weather, hospitals and so on. Additionally, something related travel around the world will be provided in My Blog. Please feedback your Advice & Comment on Travel for future travelers to Pagudpud or Ilocos. If you have any query or comment on this website or travel of Pagudpud or Ilocos, please Contact(encrypted) us.